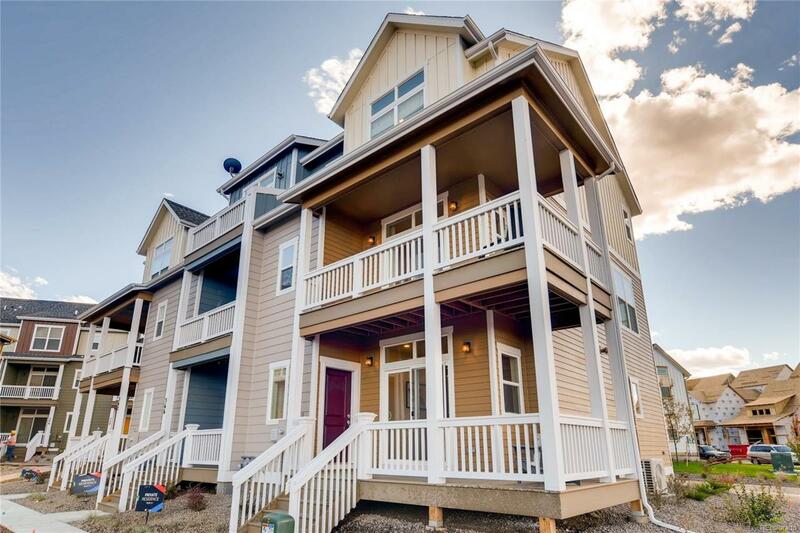 This brand new townhome is ready for a May 2019 move in! Full Front Range mountain views from the living room, decks and Master Bedroom. Unit includes upgraded cabinets, full plank flooring ion second floor and bath cabinetry and countertops. Amazing location in the much anticipated Iron Works Village community. Centrally located in Englewood near light rail and all of the shops, restaurants and bars that South Broadway has to offer. This contemporary open design is spacious and perfect for entertaining. The thoughtful layout includes a large open kitchen and living area, two bedrooms on the third floor featuring a master en suite, attached two car garage, front porch and a second story balcony. This home is light and bright, it features granite counter tops, upstairs laundry, tankless hot water, a/c and much more! Pictures are conceptual only, not of actual home and subject to change.